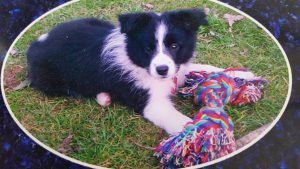 Border Collies as Pets – Fun Furry and Intelligent! Hi, to you. Border Collies are fun, furry and very intelligent and I would like to share some stories and information I have gathered over the years. Sit back and relax. Border Collies originated from the Anglo-Scottish border and were used as working dogs mostly to herd sheep as they are extremely intelligent and very obedient. 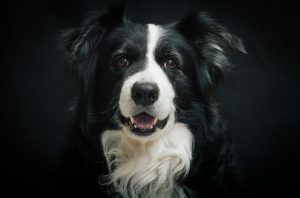 The border collie is most commonly black and white, however, there are also tri color collies (black, white, tan), and (white, tan, and red) as well and also there are some single color Border collies, although this a not seen often. Their lifespan is around is 10-14 years, depending on their health of course. A working border collie can run for miles a day so if you are planning on getting one, be sure to have a lot of energy to keep up your new friend. Border Collies as pets is wonderful, however, they do not like being left alone due to being highly intelligent with massive amounts of energy. If left to their own devices they can become self-employed and by this I mean, they will chase cars, likes, anything that moves if they are not trained correctly and looked after. Keeping them busy is the key. Teaching them all kinds of different things to keep their minds busy. Border Collies love to learn. 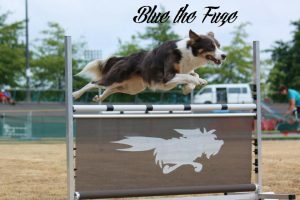 Agility – your Border Collie will love it! If you can, I suggest you either go to agility training in your area if one is available or you purchase an agility course for your Border Collie. They are easily assembled ad great fun for both of you. 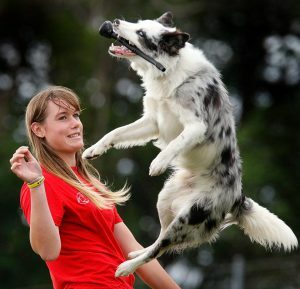 In New Zealand there is a very special young lady, Chelsea Marriner, who loves Border Collies and is famous for her training, agility and so much more. Chelsea is incredible with animals. She is a very talented woman and is dedicated to her pack of dogs. 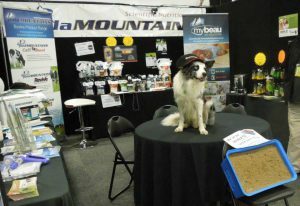 Caleb the Border Collie – so clever. I met Caleb back in 1991, yes a long time ago and the memories are still very clear in my mind. I was living in a small cottage which was 150 years old. We had a coal range, open fire, kerosene heater, blankets and believe me we needed them in the winter. Upstairs in the cottage were two very small bedrooms. Above my head when lying on the bed was a tin roof and in the winter icicles would form through the small holes in the roof. Freezing was an understatement. I loved it. It was a really cool adventure for a few months. My friend Jane lived there and my two children and I shared the cottage with her. Jane had two dogs, Caleb a handsome border collie and Leah, a Labrador who was gorgeous. Caleb was one of the most intelligent dogs I had ever met and I got to see 1st hand what he could do. Now what I’m about to share might seem pretty unbelievable but it is the truth. During the day we would open the push-up windows. We had to place a block under the window to keep it open. And we would air the cottage, as you do. Around 4:40 pm it would start to cool down so Jane would ask Caleb to go upstairs and shut the window with the blue block and he would run upstairs grab the block, and return it to Jane. She would then say, go get the yellow block “Caleb” and off he would go again, upstairs to retrieve the block. We would hear the window shut and he would bring the yellow block back to Jane. Unbelievable!!!! The children and I were amazed and my daughter was allowed to give him the same command and he would do exactly as he was asked for her as well. Incredible. He also had his eye on the cat whenever he could and would become quite fixated on her. Funny. He was waiting to be told to round her up like that was ever going to happen but he lived in hope. Caleb passed away from old age and to this day I will always remember what a delightful doggy he was. Molly- how clever she was. 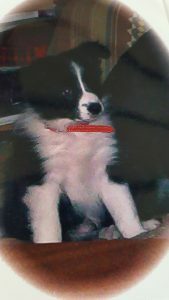 Back in 2003, I lived on a lifestyle block and decided to buy a Border collie. I chose a great breeder and went to visit the new litter about 4 weeks after they were born. What a cute bunch of delightful puppies. The breeders were lovely people and shared lots of good information on the genealogy of the pups which was important to me as I wanted to get a really good dog. I spent quite a while with the pups until I knew which wee girl was for me and I returned to pick her up when she was around 8 weeks old. So exciting to have my wee girl with me. I named her Molly which really suited her and my time with Molly began. I bred chooks while I was living on the block and I had 27. Every day around mid-morning I would let them out of their coop so they could roam in my garden doing what chickens do. When it was time to bring them home in the late afternoon, I would shake their feed container filled with wheat and they would all come running back into their coop to enjoy their supper. When Molly was still very young I used to put a lead on her and when it was time to bring the chooks in I would walk her beside me and I remember the 1st time I did this, she immediately started working. It was amazing to watch. She would get lower to the ground and walk very slowly watching the chickens as they went and when they were in the coop she would sit beside me as if to say, job done. Within a few days, I tried her without the leash and off we went to get the chickens. She was incredible!!! She did exactly what was needed to round them up and bring them to their coop. What a remarkable wee girl. Time went on and we had some wonderful times together but unfortunately, I had to move from where I lived very quickly and because it was going to be in town, I knew this would be unsuitable for Molly. She needed to work and have space, not be a town dog. This would have destroyed her beautiful spirit. 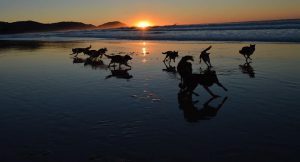 I hope you have enjoyed this post and should you have any questions please email delightfuldoggies.com or leave a comment. 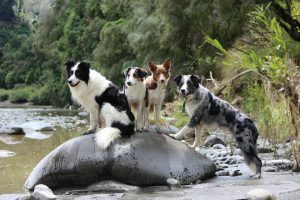 I always like getting feedback on my posts as this to tell me whether I’m doing OK.
Luv your website about border collies, I really love dogs, but after reading your website I want to go buy a farm and fill it with collies! They are an incredible animal, and very clever. I found your website extremely insightful and an interesting read, I cant really say that I found anything wrong with your site, I enjoyed it. Just wanted to comment to say that I really enjoyed reading this post! I am a huge dog lover and have a shih tzu so basically a toy compared to the border collie. I love reading about different breeds characteristics and quirks. I think border collies are the most wonderful dogs out there. They are just so intelligent and seem to want to please you. Being of the older generation, we did nearly get a rescue collie but thought better of it. We realized that we may not be energetic enough or have the time to realise the potential that collies have. We know they need loads of stimulation and exercise. Instead, we went for two brothers more in keeping with our lifestyle. They are yorkie x bichons. Thing is, the picture you have at the top of this post looks the spitting image of one of our boys. He is just 2 years old now. I have 2 wee girls and the picture at the top of the page in Liberty who was young in that photo. She is now 12 and still going strong. I love dogs and have grown up with them. Unfortunately my lifestyle has meant that having a dog was out of the question. Not because of the work involved, but because it wouldn’t be fair on the dog. Now I am working from home, having a dog may be a possibility. Would a collie snuggle up on the rug while I work (in between walks and play time), or do they need constant attention all day?